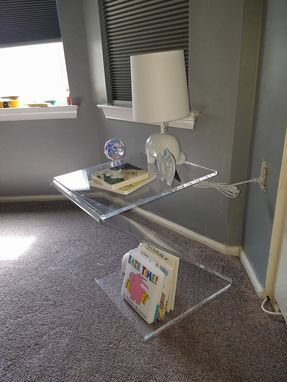 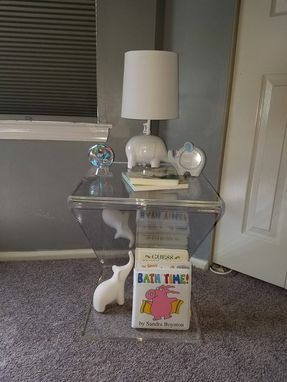 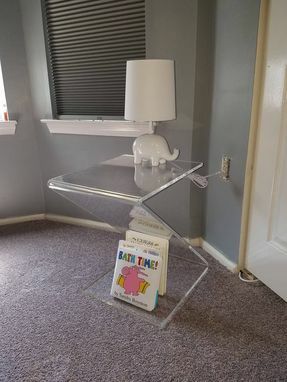 Here is a unique looking piece that makes a perfect little side table. 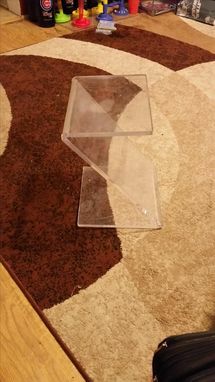 Made standard in a 1/2" thick clear acrylic a normal size is about 14" sq and 22" high but can be made to nearly any size. I can also make it in a 3/4" thick acrylic for a more sturdy design.